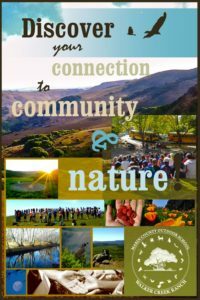 The Marin County Outdoor School at Walker Creek Ranch is dedicated to helping elementary schools satisfy their educational goals through quality instruction within a special learning environment that inspires and motivates students to achieve an appreciation of the natural world. Using the principals of thematic instruction, the Outdoor School program enhances a student’s critical thinking, processing, and socialization skills. This school sponsored outdoor education trip is funded by voluntary contributions. A donation of $390 per student will help cover the costs of this year’s outdoor education trip. Contributions are accepted by the school WTPA and are disbursed by that group in accordance with RVSD Board of Trustees Policy 6153. Full and partial scholarships are available. If you are unable to make the full recommended donation to cover the cost of your student’s attendance, please help us to secure full funding for this important experience by requesting a scholarship below.